Not much to report this week – we’re out in Europe and Australia on PSN, and we’re coming to PC in a few months! Other than that, we’re continuing work on the first patch and DLC character. The amount of fan art out there continues to grow, and of course we’ve got another batch of it to share with you this week. Final Cake drew this excellent rendition of Cerebella and Vice-Versa! 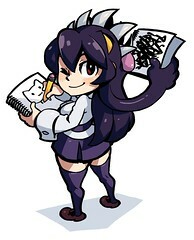 The oddly-named 水.橋( ◕ ‿‿ ◕ )シグ drew this humorously macabre portrait of Ms. Fortune playing with herself. Double’s monster and nun forms commingle in this creepy painting by Gokotan. 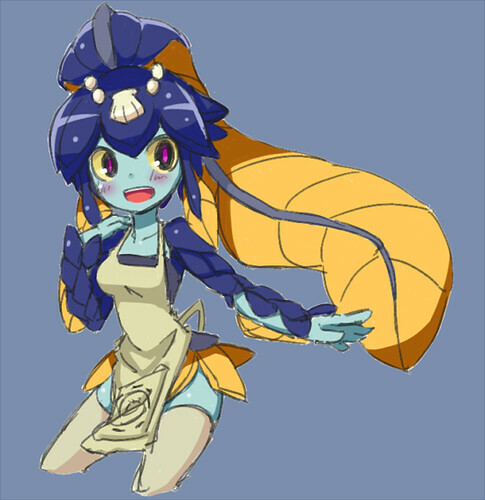 Minette may very well be the most adorable fishgirl ever, and Nikukabe has captured her cuteness quite nicely. 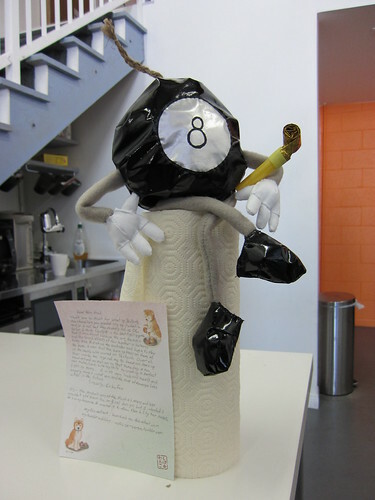 Today Alex received a package from a fan, and inside was… a bomb. A plush George, in fact! We were really touched by Eriko’s heartfelt letter and impressed by her hand-made gift, and just had to share it with everyone. Alex and everyone at Reverge would like to thank Eriko for her support. It’s fans like you that keep us going! Also, let this be a lesson to all of you: toys are welcome… also cookies. Plush George is very nice, wish I got gifts like that. Hmm…Now I have to figure out how to send cookies without them crumbling along the way there. I love reading Fan Art Friday! I really like that Cerebella drawing. That plush George must’ve been a nice surprise. Everyone quick! They’ve hinted that they want cookies! Send cookies! Normally, you wouldn’t be too happy about getting a bomb in the mail.